Our consolidated buying power has allowed us to establish relationships with a select group of vendor partners, resulting in substantial savings for all partners. Save on everything from janitorial and MRO supplies, sweeper brushes and brooms and more. Download the Partner’s Detailer and learn about special savings opportunities available exclusively to partners of 1-800-SWEEPER. The scale of 1-800-SWEEPER’s nationwide group of partner sweeping companies also allows us to actively create specialized tools that help us all be more efficient and successful. The sweeper operator training simulation module shown in the video here is one example. This innovative tool gives owners and managers in our partner companies the ability to test, train, and challenge new and veteran drivers. Our goal is to be the best educated and most efficient safety-minded sweeping sales and service force in the industry. 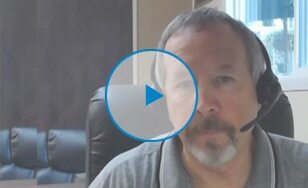 To date, we have developed and made available to our partners stormwater remediation training, an online tool for employee/operator recruiting, screening and profile testing, plus industry-leading marketing programs and group purchasing discounts and incentives on hundreds of items from trash bags to trucks! And with 5 years behind us, new opportunities are coming to us every month! In the next couple months, look for additional exclusive innovations including an integrated software solution for Customer, Job, Route Scheduling, and Fleet Maintenance management empowered by GPS tracking that seamlessly exports to QuickBooks for billing. 1-800-SWEEPER offers an active year-round problem-solving group on LinkedIn. Partner companies enjoy the opportunity to share tips, ask business questions, post equipment sales, and more within this private group. This private LinkedIn group is moderated and protected, and includes only top tier management. 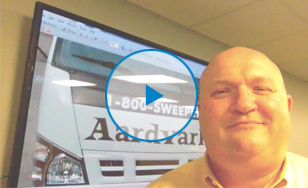 To join contact the 1-800-SWEEPER Partner Coordinator by calling today to get more information, or download the Partner Detailer and Qualification Questionnaire. — George Kryston | Property Maintenance Services Inc.
Request more information about becoming a 1-800-SWEEPER partner!